UPDATE: Frisky was adopted! Frisky is a very handsome 6-month-old male kitten. His long hair is predominantly white, but he has patches of black and grey on his head. 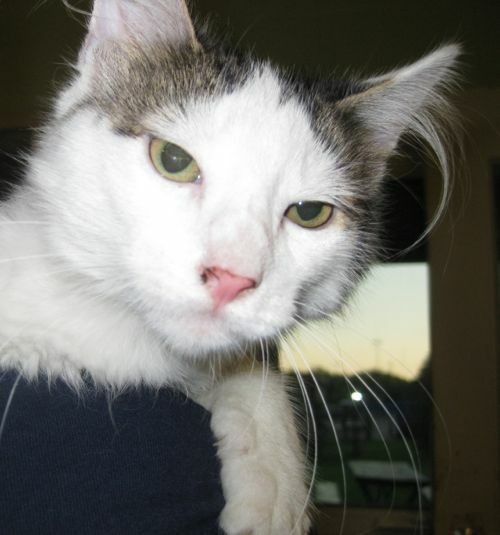 He is friendly and sociable, and wants to find his forever home! For more information about Frisky, contact us.